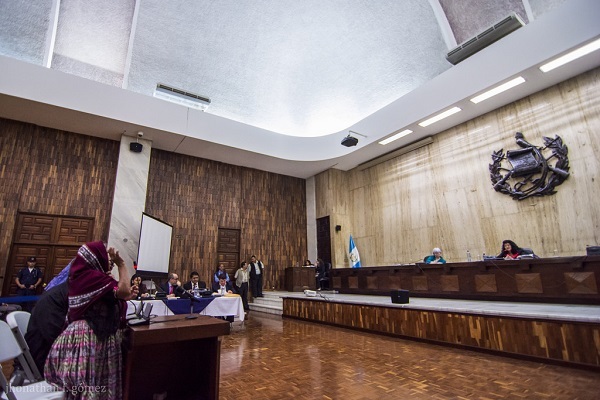 Maya Q’eqchi’ women survivors recently entered the Supreme Court in Guatemala as part of the Sepur Zarco case to demand justice for sexual violence, sexual and domestic slavery, forced disappearances and murder, crimes committed during the internal armed conflict of 1960-1996. 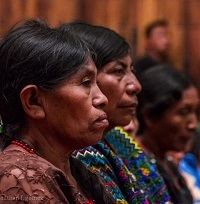 Maya Q’eqchi’ women survivors recently entered the Supreme Court in Guatemala as part of the Sepur Zarco case to demand justice for sexual violence, sexual and domestic slavery, forced disappearances and murder, crimes committed during the internal armed conflict of 1960-1996. On February 1, 2016, Army Lieutenant Colonel Francisco Esteelmer Reyes Girón and military commissioner Heriberto Valdés Asij appeared before the court as another historic trial began. The Sepur Zarco case is representative of the current state of justice for women in Guatemala. It serves as a reminder that the work towards bringing those responsible for genocide and crimes against humanity is an extensive and challenging process anywhere in the world. The case goes back to 1982, when the army built a military outpost between the departments of Alta Verapaz and Izabal. Built by forced labor from men of the communities of Panzós and El Estor, it was designated as a resting area for the troops. Late in 1982, the army captured and disappeared Maya Q’eqchi’ men who were fighting for their rights to the land in the area. Consequently, the army took advantage of the widowed women and declared them “alone and available,” forcing them into domestic and sexual slavery. The women were subjected to inhumane conditions, repeatedly raped, gang raped and forced to cook and clean for the army. In 1993, the United Nation’s Historical Clarification Commission collected testimonies which allowed for an understanding of what happened. However, a broader understanding of what took place began to surface further in 2000 when the Community Research and Psychosocial Action Team (Equipo de Estudios Comunitarios y Acción Psicosocial, ECAP) conducted psychosocial work with women of the Sepur Zarco region. 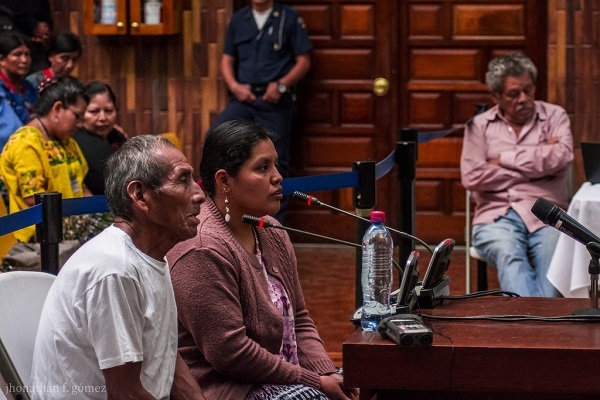 The roots of this landmark case are part of a living history which Maya Q’eqchi’ women have been working for years at the community level in the pursuit of justice. In 2009, an independent psychosocial investigation, which led to the publication of a book called Tejidos Que Lleva el Alma (The Weavings that Our Soul Carry) was conducted by ECAP and the National Union of Guatemalan Women (Unión Nacional de Mujeres Guatemaltecas, UNAMG). The book’s aim was to bring the stories of Mayan women survivors into the public consciousness. 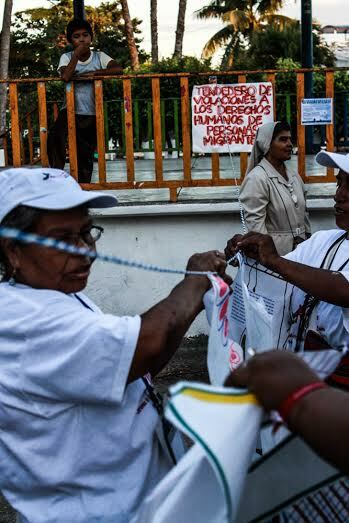 In 2010, a symbolic Court of Conscience (Tribunal de Conciencia) against sexual violence for crimes committed during the armed conflict was conducted as a public act by the women survivors. It signaled a breaking of the silence and promoted the sharing of stories with the clear objective that nothing of that nature should ever happen again. The event was organized by various community organizations and with the support of multiple embassies including those from Costa Rica, Spain, Germany Norway and Sweden. 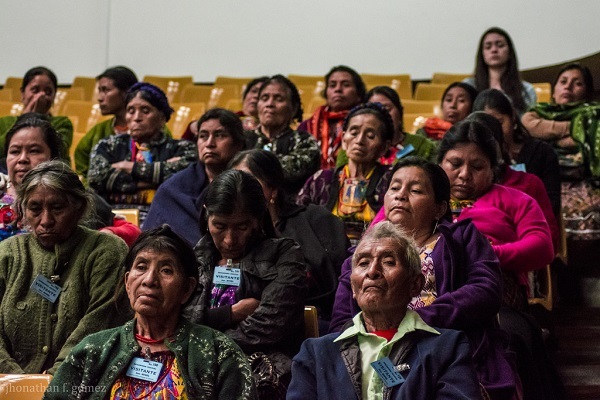 Following the symbolic act, the women took a step forward with strategic litigation within the Guatemala justice system. The Breaking the Silence and Impunity Alliance (Alianza Rompiendo el Silencio y la Impunidad), which consists of three grassroots organizations, came together the same year to accompany the legal proceedings of the women survivors. The women survivors have waited over 30 years to see any inclination of justice, and this case can therefore have a large impact in Guatemala and around the world. The case stands to move public opinion forward in the struggle for gender justice. It can serve as a step to strengthen trust in a justice system that is capable of hearing the voices of women, and not shaming nor stigmatizing them for speaking out as survivors of sexual violence. It is particularly important for an indigenous population that has been historically discriminated and marginalized to trust in due process. Fifteen women have already testified during the intermediate phase of the case. Many of them have faced threats because of their testimony, yet all of them continue to stand strong because they share a collective understanding of the importance of the trial. On September 2011, criminal charges were filed in Puerto Barrios, Izabal against military officials Reyes Girón and Valdés Asij. On December, 2011, exhumations were performed at the military outpost. In July of 2012, the prosecutor’s office requested before the Supreme Court that the case be transferred to the High Risk Court. In September of that year, survivors and witnesses presented testimonies before Judge Miguel Ángel Gálvez Aguilar who precedes High Risk Court B. Arrests were made for Reyes Girón and Valdés Asij in June 14, 2014. On June 23, the first hearing was held and in October, the intermediate phase began which prompted the judge to request a trial date. Immediately after the defense filed a writ of amparo, a legal remedy for the protection of constitutional rights, which was rejected by the Constitutional Court in April of 2015. In March, April and May of 2015, hearings were suspended because the defense attorneys were not present and because of health problems by Francisco Esteelmer Reyes Girón. Esteelmer Girón had been hospitalized and the defense stated that he was in “poor health.” On June 23, the judge restarted the public debate and the case was sent to the High Risk Court A, comprised by judges Yassmín Barrios, Patricia Bustamante and Gerbi Sical. 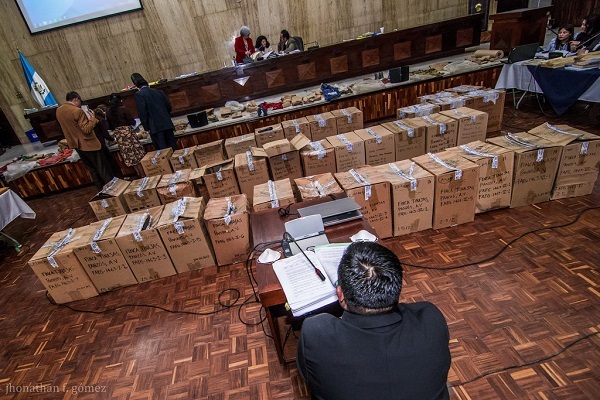 On February 9, the plaintiffs presented over 30 boxes as evidence which contained the remains found in various exhumations which the Forensic Anthropology Foundation of Guatemala (Fundacion de Antropologia Forense de Guatemala, FAFG) conducted. 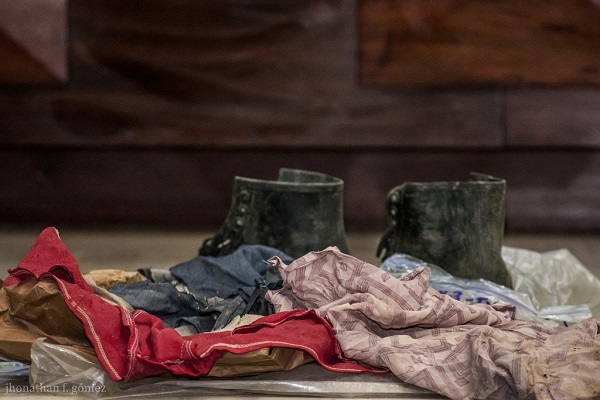 As the contents of the boxes were presented, many people who attended the trial as observers and supporters walked out of the courtroom because of their graphic nature. Evidence of this nature has not always been used at such trials, making it an even more important method of illustrating the magnitude of the crimes. 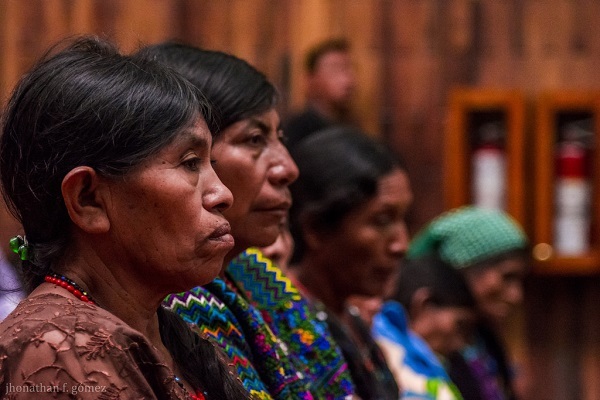 As a show of support for the Maya Q’eqchi’ women who will be testifying, women from various regions across the country have been present through the trial. As the country watches another historic trial unfold, the survivors are clear on their position. They seek justice and will not rest in peace until justice is served. They want to bring the issue of sexual violence into the public conversation and to show that it is hard for women to speak out against this type of violence. They want their voices to be heard, their truth to be known. They want society to understand that what happened to them was not their fault, and most importantly, that no other woman in Guatemala, or anywhere in the world, experiences what they lived through. Jhonathan F. Gómez, is a documentary photographer currently living in Guatemala City. He is commitment to documenting the subaltern and diasporic realities of Guatemala as they relate to historic memory, race, class, gender, sexuality, identity and justice.